Do you guys feel it as well? How the summer is arriving and making us feel even better and more energetic?! IT’S JUST AN AWESOME TIME! 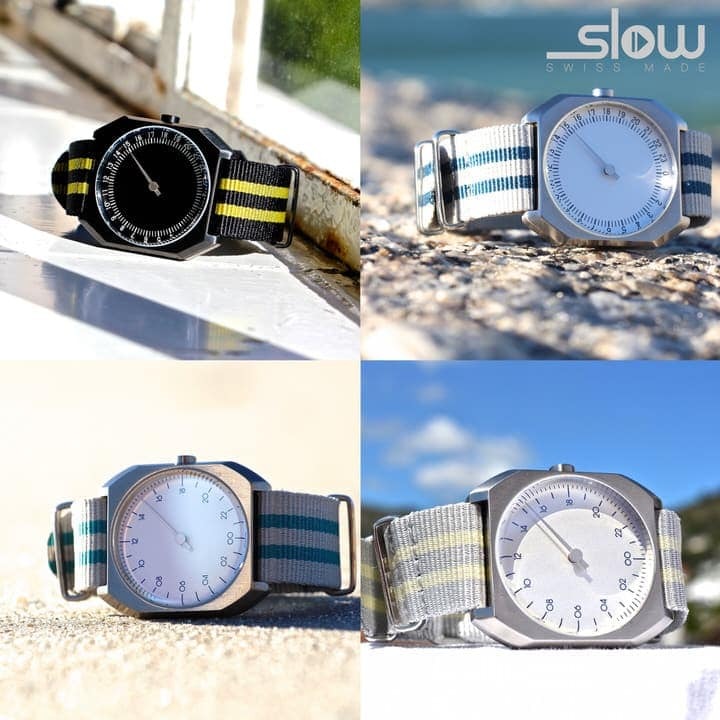 Four styles featuring our robust nylon bands with colourful stripes. Unbelievable how these straps make slow Jo and slow Mo appear totally different. Now they look like a yachting watch, a vintage racing timepiece and fun casual fashion styles. So versatile! You guys absolutely M U S T have a detailed look at them in our shop right. Here direct links to the fabulous four new styles!